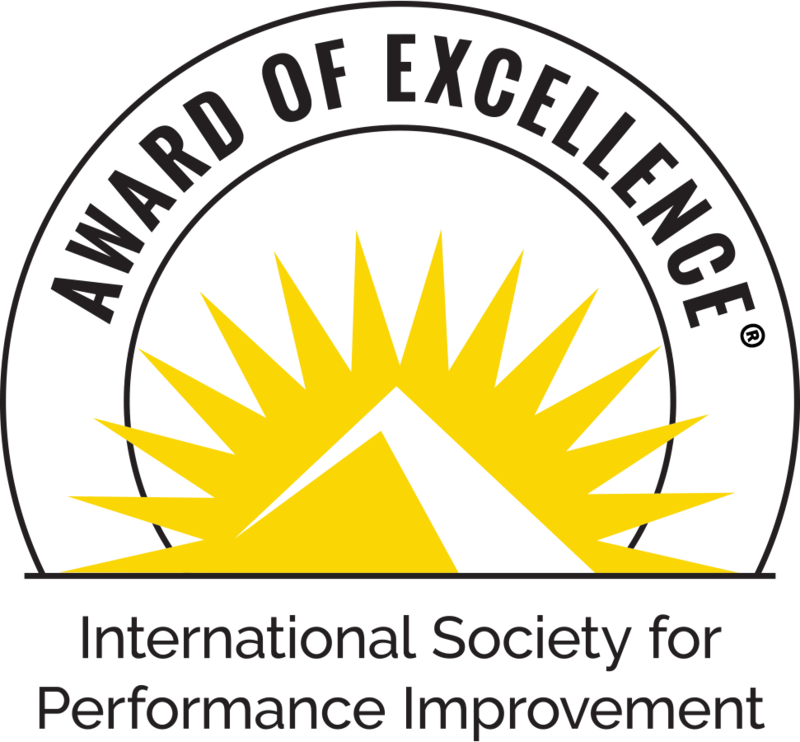 ISPI's Awards of Excellence program is designed to showcase the people, products, innovations, and organizations that represent excellence in the field of performance improvement. The nomination may be comprised of multiple, integrated, interventions targeted at a particular performance problem, opportunity, or need. You must submit your proposal electronically, via Event Rebel. ISPI must receive all components of your submission by August 31, 2018. Provide supplemental materials (five copies) such as a textbook, manual or other documentation that cannot be submitted electronically to ISPI (see mailing information below). These copies will be used for award evaluation and display at ISPI's Annual Conference, if applicable. Display the actual intervention (or a mock-up or alternative if confidentiality is a concern), at the annual conference, if this option is available. Be willing to mentor a new submitter the year following your Award recognition. To get started, please enter the key contact associated with the submission's email address and click on the SUBMIT button.